LPG Boiler Servicing & Repair in Sheffield, Barnsley, Doncaster, Wakefield, Holmfirth & Huddersfield. Professional LPG boiler servicing and repair by fully qualified technicians. Sheffield, Barnsley, Wakefield, Huddersfield, Doncaster, Holmfirth and Rotherham. To ensure your LPG boiler is working safely and efficiently, reduce the risk of costly breakdowns and enjoy peace of mind, it is strongly recommended that your boiler is serviced annually. A service normally includes a full inspection, clean and a flue gas analysis, to ensure that the boiler is working safely and economically. 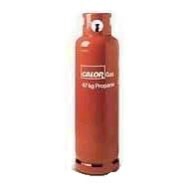 We also check gas working pressure to ensure the safe operation of your equipment. If you have a sealed system , we will check the pressure and adjust as necessary.